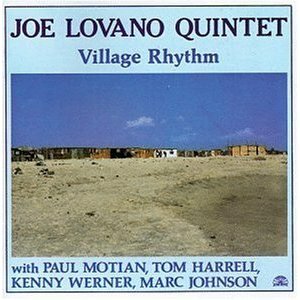 My dad, Tony “Big T” Lovano, had just passed when I recorded this, so I included a couple of tributes to him, including T Was to Me, which I performed on saxophone and gong. It was based on a poem my friend Ronald Hudson Smith wrote about my dad. I read the poem, like Trane did on A Love Supreme. Dewey was written for both Miles Dewey Davis, and Dewey Redman. The first four bars are reminiscent of a phrase that reminded me of both of those cats. Tom and I were in Mel’s band in the early 80s, and like my other dates, I wrote the compostions with the players in mind.